Carefully sourced local ingredients. Small batches. Folks dedicated to the love of the craft. January 16 – 31st. 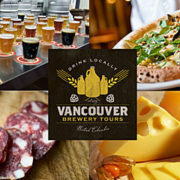 Hop on and let Vancouver Brewery Tours introduce you to the burgeoning craft beer and artisan food scene in Vancouver. 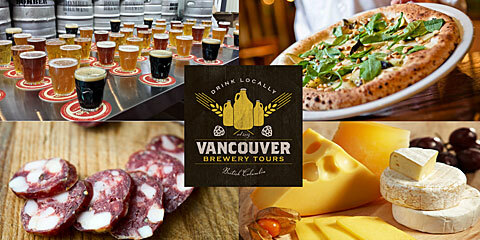 While on tour we’ll introduce you to two of Vancouver’s finest craft breweries and visit three award-winning artisan food stops. Enjoy an abundance of craft beer samples at the city’s newest craft brewery, Strange Fellows Brewing, and East Van favourite, Bomber Brewing, all while learning about the exploding popularity of Vancouver’s craft beer industry. To whet your appetite you’ll also be whisked away on a culinary adventure that includes artisan meats, cheeses, baked goods and much more from Big Lou’s Butcher Shop, La Grotta del Formaggio, Famoso Neapolitan Pizzeria and East Side Beer Food (aka Pig on the Street). $79pp plus taxes. January 16 – 31st on select dates. Tickets on sale now and moving fast! You can purchase them here. Must be 19 or older and have valid ID to board the van. Dietary Comments: Each tour includes meat, dairy and wheat products. * includes tour and tastings. Tax and ticketing fee not included. Gratuity optional.